Future Supply Chain Ltd is one of India’s largest organised third-party supply chain and logistics service provider.They are promoted by Future Enterprises Limited, which is promoted by Kishore Biyani. Company offers automated and IT-enabled warehousing, distribution and other logistics solutions to a wide range of customers. As of July 31, 2017, for the contract logistics services,Company runs their operations through 42 distribution centres across India, covering approximately 3.80 million square feet of warehouse space and 2 distribution centres at customer premises, covering area of approximately 0.37 million square feet. Company’s distribution centre at the Multi-modal International Hub Airport at Nagpur (MIHAN) is one of the largest and most highly automated distribution centres in India. Distribution centre at MIHAN covers approximately 0.37 million square feet of warehousing space, housing a high-speed cross-belt sorter system, which is the first of its kind in India, with a sorting capacity of approximately 2,000 cases per hour. Company has recently set up an Integrated Food Distribution Centre (“IFDC”) in Kolkata, which caters to multiple formats and categories for the food industry, including cold storage, in the same location. Thay have targeted to open up to five new IFDCs across the North, East and South regions of India, with their IFDC in Kolkata being the first, in the next two years and to increase the geographic coverage of their IFDCs across India. Company’s business originally was established to provide supply chain and logistics to certain of the Group Companies, including the Future Entities described below. Future Retail Limited: focusing on hypermarket, convenience stores, value fashion, furniture, electronics and general merchandise with over 893 stores in 246 cities across India as of June 30, 2017; Future Retail Limited’s retail brands include Big Bazaar, FBB, FoodHall, EasyDay, eZone and HomeTown. Future Lifestyle Fashions Limited: operating in the fashion and lifestyle space with over 372 stores across India as of March 31, 2017; Future Lifestyle Fashions Limited’s retail brands include Central and Brand Factory and its fashion brands include Lee Cooper, ALL, Scullers and Jealous 21 among others. Future Consumer Limited: operating in branded foods and FMCG space with a portfolio of products for the new-age consumer generation; Future Consumer Limited’s brands include Tasty Treat, Golden. Harvest, Nilgiri’s, Cleanmate and Caremate among others. Contract Logistics : warehousing, distribution and other value-added services. Express Logistics : point-to-point, less-than truck-load, time-definite transportation services. Excellence Award – 3PL Solutions at the ICC Supply Chain & Logistics Awards. Best Cold Chain 3PL Service Provider of the Year at the Cold Chain Industry Awards. 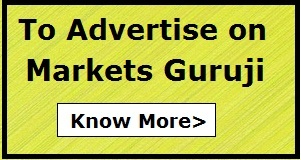 Also Watch this Video Review and Subscribe to Markets Guruji Youtube Channel. We believe that none of the listed companies in India have a business model and asset structure similar to Future Supply Chain, So we cannot make any Comparison. Longstanding relationship with Group Companies. Future Group (Retail) is growing very fast in India, So naturally Future Supply Chain is also expected to grow tremendously. Future Supply Chain Solutions raises Rs 195 crore from anchor investors. In all, 2.93 million shares were allocated to 16 anchor investors. Nine of the anchor investors were mutual fund schemes belonging to six mutual fund houses. Prominent names include L&T Mutual Fund Trustee Ltd, Reliance Capital Trustee Company and HDFC Trustee Company. To Know about Astron Paper IPO Click Here. To Know about One Point One Solutions IPO Click Here. To Know About Shalby Hospital IPO Click Here. To Know about Multibagger Stocks Click Here. To Know about SME IPO Click Here.